← Brecon Beacons named best destination in Wales! Pen y Fan is 886 metres high – the highest point in southern Britain. It is a mountain in every sense of the word. Once reaching the summit you will be treated with 360-degree views of the beautiful Brecon Beacons and beyond! Although some people climb it wearing little more than shirts, shorts, and trainers, this is far from ideal as the weather here can change with frightening speed and ferocity. Route here. The bluebell display at Dinefwr Park really is a treat for the eyes and nose. Every spring, Castle Woods is carpeted with thousands of beautiful lilac flowers that grow in a race against time before the leaves return to the towering tree canopy, cutting off the sunlight once more. Learn all about Dinefwr Castle and enjoy some breathtaking views. Click here to find out more. Set in the beautiful Carmarthenshire countryside, the Garden is a fascinating blend of the modern and historic. 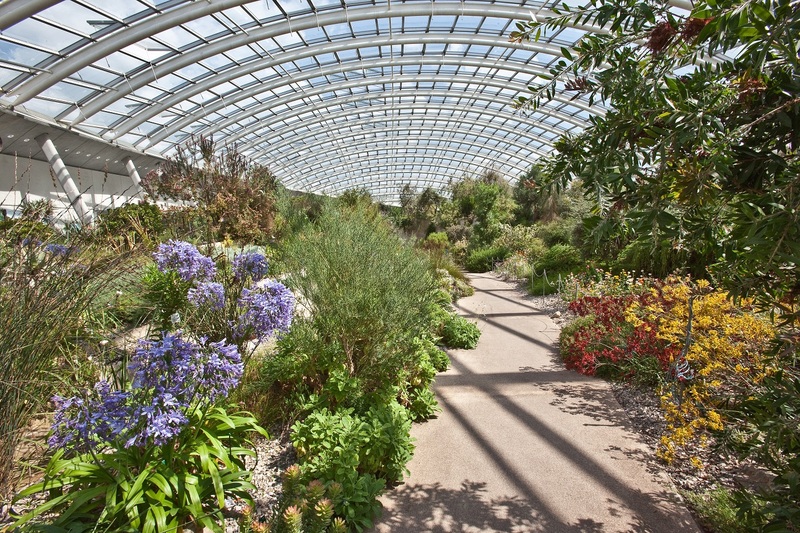 Here you’ll find an inspiring range of themed gardens, the world’s largest single-span glasshouse, our new tropical Butterfly House, play areas and a national nature reserve, all set in a Regency landscape which provides the stage for a packed programme of events and courses throughout the year. It’s the perfect place to stroll around! This small nature reserve, which gives excellent views of the Brecon Beacons, is a section of the former Brecon to Merthyr railway line. Originally built as the Brecon to Hay-on-Wye tramroad, it became a railway in 1864. The line closed in 1964 and became a nature reserve in 1980. Click here to find out more. The pinnacle of the Crickhowell to Table Mountain walk features an Iron Age hillfort, alongside panoramic views of the Usk valley and the Black Mountains. 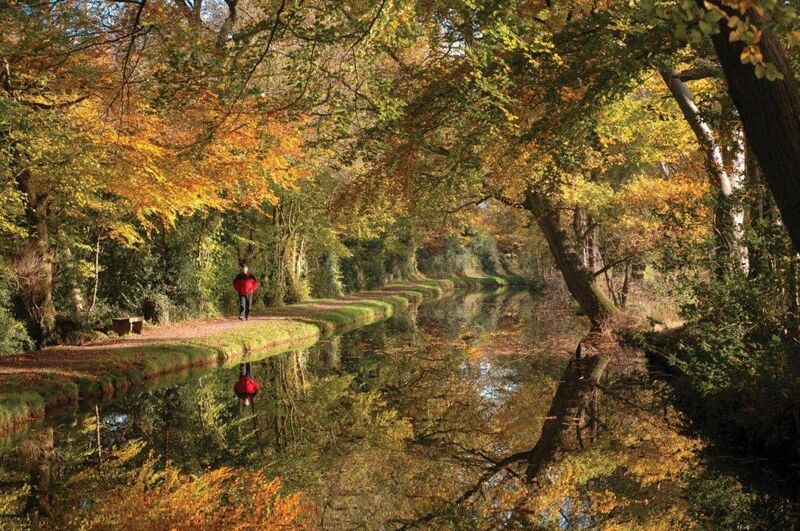 There are so many sights to see walking along the Monmouthshire and Brecon Canal. Watch the canal boats glide by, see nature around you and admire the constantly changing landscape. Bwlch is the home of the now well established Bwlch with Altitude Challenge which takes place every summer and is a 12-mile walk around the lake from Bwlch and Llangorse respectively, contestants enjoy this event seeking out clues and answers to a number of questions set as part of the challenge’s photographic quiz. The communities of Llangorse and Bwlch have developed the new Around Llangorse Lake website to help visitors enjoy this lovely part of the National Park. Check our more awesome walks here. A gentle stroll around the Holy Mountain during the end of April early May where the westerly slopes are carpeted with bluebells. – Find our more here. The Brecon Beacons offers a wide range of accommodation to suit all your requirements to make the most of your visit to the National Park! Whether you want to bring your dog along so need pet-friendly accommodation, are bringing your family along or fancied coming with a group of friends there will be somewhere for you! Plan where you’ll stay here. Find more glorious walking routes here. 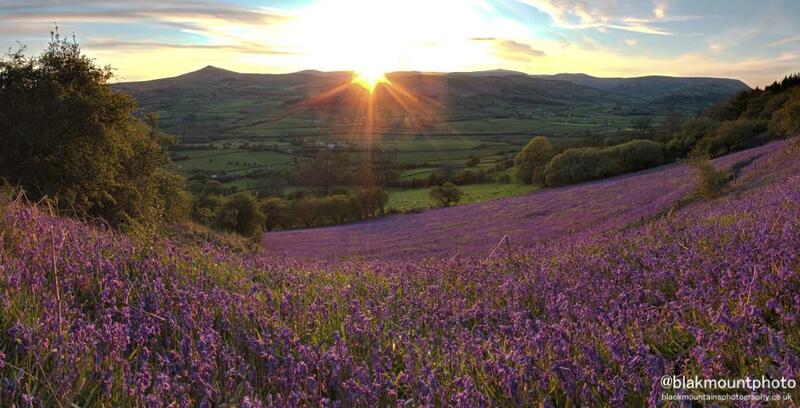 This entry was posted in Brecon Beacons Walking, family walks, Pen y Fan Walks, short walks, Uncategorized, Visit Wales, wales and tagged Bluebells, Brecon Beacons National Park, canal, gardens, lake, mountains, nature, pen y fan, Skirrid, spring in Brecon Beacons, wales, walking, woods. Bookmark the permalink.